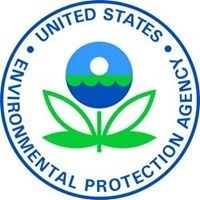 ATLANTA (November 13, 2018) – (RealEstateRama) — On Wednesday, November 7, 2018, the U.S. Environmental Protection Agency (EPA) recognized Renewable Water Resources (ReWa) – Reedy River Basin Sewer Tunnel in Greenville, S.C. as one of 30 clean water infrastructure projects for excellence and innovation within the Clean Water State Revolving Fund (CWSRF) program. Honored projects include large wastewater infrastructure projects to small decentralized and agriculture projects. “The Clean Water State Revolving Fund is an extremely important source of funding to ensure communities in the southeast have access to clean, safe drinking water and the infrastructure necessary to support local needs,” said EPA Region 4 Administrator Trey Glenn. ReWa, a public regional wastewater collection and treatment provider, determined the need for additional sewer conveyance capacity for the city of Greenville. The goal was to construct an overflow collection system for the 68-square mile service area while avoiding disturbance to downtown Greenville. The project will convey the influent downstream of the city and reconnect to a gravity interceptor line where it will be transported to the Mauldin Road Water Resource Recovery Facility for treatment. The ability to divert peak wet-weather flows to the sewer tunnel will reduce the potential for elevated bacteria levels in the Reedy River. The total CWSRF financing amount for this project is $42.4 million. EPA’s Performance and Innovation in the SRF Creating Environmental Success (PISCES) program celebrates innovation demonstrated by CWSRF programs and assistance recipients. Learn more about each of the 2018 PISCES-recognized projects at https://www.epa.gov/cwsrf/pisces.